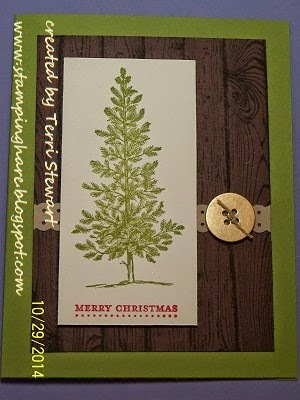 Stampin Up Extravaganza sale, with Door-buster promotions today! It's here!! 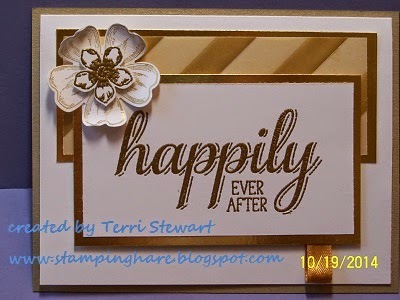 Stampin' Up's Online Extravaganza begins TODAY! Quantities are limited, and this great opportunity only lasts from November 24 through December 2, so get yours before they're gone. Similar to last year, the extravaganza starts and ends with 24-hour door-busters promotion on the first and last day of the sale. And in between those great offers, you'll find many products on sale, up to 50% off! Click here to view the sale items. You may order online via my online store or place your order directly with me. 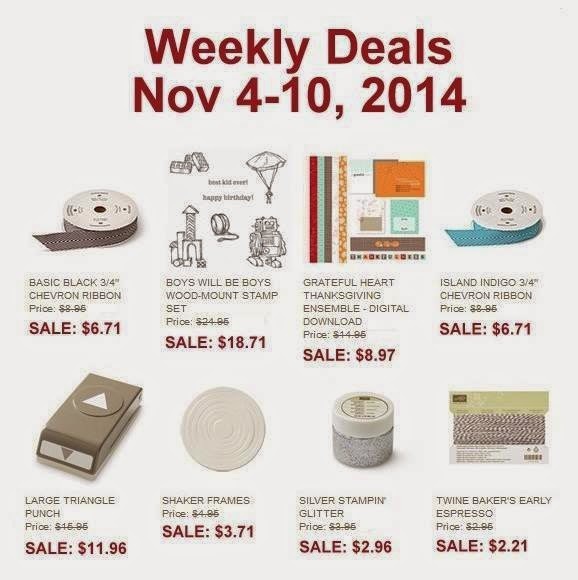 Join my Stamping is fun team this week during the Save More, Earn More promotion, November 24 through December 2. 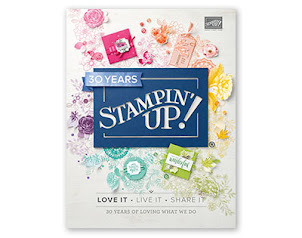 Get a 25% discount on the Starter Kit when you join Stampin’ Up! 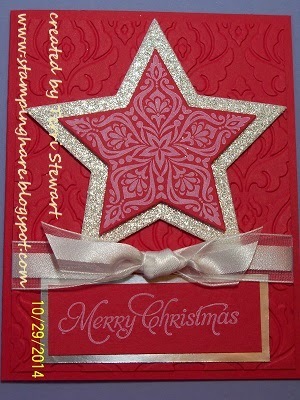 between November 24 and December 2; you'll pay $75 for your fully customized kit, valued at $125. You’ll receive all the same great products AND get five percent cash back on all commissionable orders placed in December---plus anybody you recruit during Extravaganza also get 5% back of their sales! To learn more click here. Join my team today and receive your 5% cash back (on December sales or your December purchases). Sweet deal, so join today! Upcoming classes: place a minimum $25 order during the extravaganza and you'll get free tuition in December on these classes! December 4th, Thursday, 7 to 9pm, class theme is holiday treats; tuition is $10 or free with a minimum order. 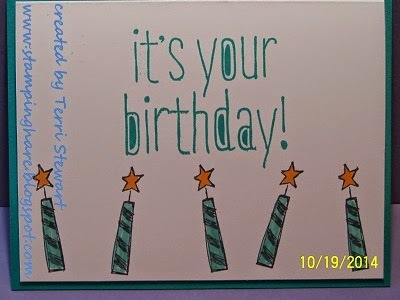 December 8th, Monday, 7 to 9pm, birthday cards; tuition is $10 or free with a minimum order. December 29th, Monday, 7 to 9pm, theme TBD; tuition is $10 or free with a minimum order. 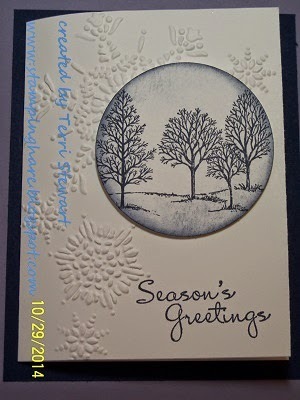 Stampin Up news below...Big News cards AND Christmas card classes this week. RSVP now! 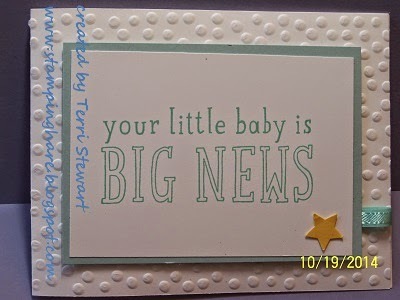 November 11th, Tuesday, ANY TIME, Big News cards; make 4 cards (1 each of 4 designs). Tuition is $10 or free with a minimum order. December 4th, Thursday, 7 to 9pm, theme TBD; tuition is $10 or free with a minimum order. December 8th, Monday, 7 to 9pm, theme TBD; tuition is $10 or free with a minimum order. 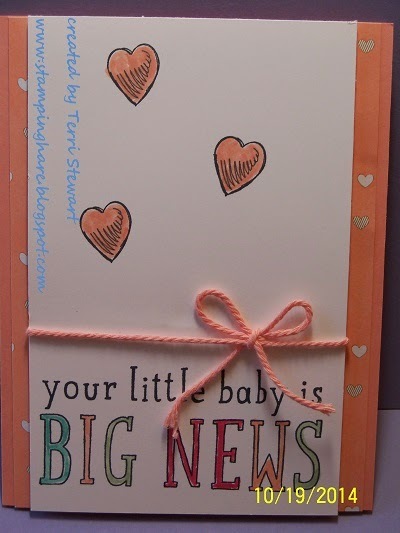 Paper Pumpkin -- free crafting night for paper pumpkin subscribers; get your pumpkin on! Next gatherings November 14th (Friday) and December 30th (Tuesday). Click here to subscribe and join the fun!